My usual practice in warm weather months is to hang my bath towel on some fixture on my deck to dry in the sun. 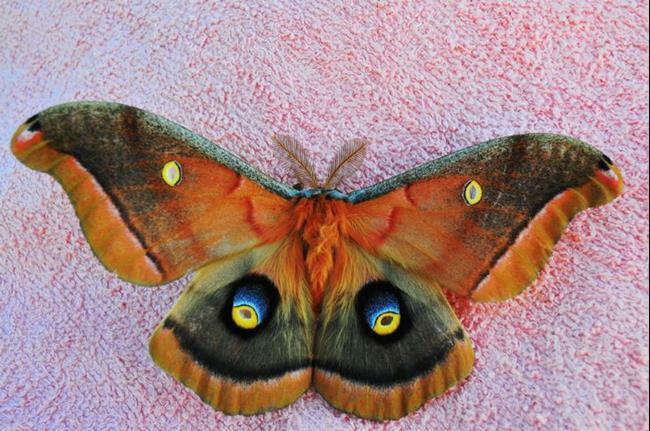 This morning I found this beautiful Polyphemus Moth hanging out on yesterday's towel, seemingly happy to rest. 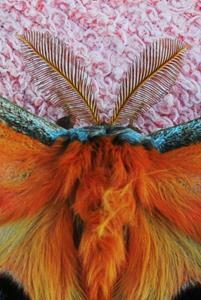 This species moth is quite large, with an average wingspan of 15 cm (6 inches). 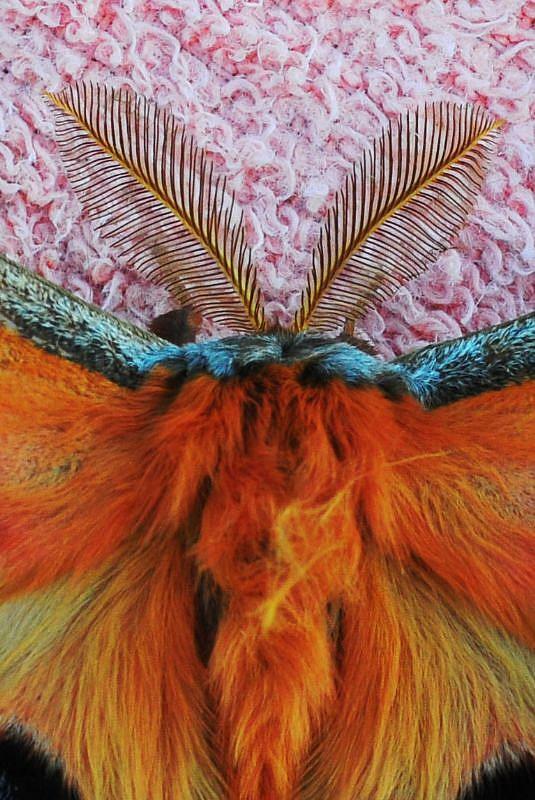 I especially love his antennae. 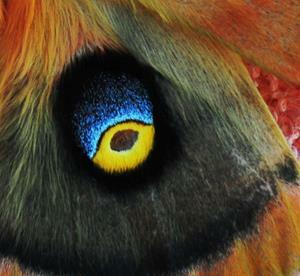 The caterpillar of the Polyphemus Moth can eat 86,000 times its weight at emergence in a little less than two months. The caterpillar spin cocoons of brown silk, usually wrapped in leaves of the host plant. Should anyone wonder if my towel is in danger of being eaten, fear not, these beautiful creatures do not eat, and only live a week. I am not going to leave it on my towel though, but instead will move this beautiful creature into the woods where it can do it's thing in an environment better suited to reproduction.